Last Saturday I was the judge of the first ever Agility for Juniors Grand Prix, organised by Anthony Clarke. 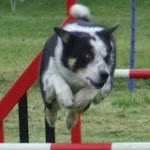 I was judging Speed stakes, Jumping & Agility. It was a super day, albeit a little cold (we were inside) the juniors were super and worked very hard over all the courses. There were some excellent runs and the kids showed off some superb handling and courage when running the courses. It was a pleasure to judge. My name is Lee. I consider myself outgoing, funny, loyal and genuine. I am also very ambitious. 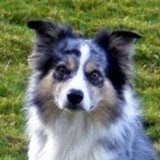 I am an Agility Handler, Trainer and Judge from Shropshire, the UK. I hope you enjoy the LGT blog! Please sign up to follow the blog, and feedback is always welcome! LGT Workshop DVD now onsale from www.leegibsontraining.com read the DVD reviews online! !